We all have life goals, right? Bucket list items? We totally do. Drive a high performance vehicle on a race track? Ummm. Nope. Never been on my list of things I need to do before I die. But I did just that and it was the thing in my life I didn't know I needed. I went to the BMW Performance Center in Thermal California (near Palm Springs) and now my five-year-old minivan is giving me the major sad trombone vibe. Maybe even the sad tuba vibe. Whatever instrument makes the saddest sound, that's me wishing I was back on the BMW Performance Center Track in Thermal California zoom zoom zooming. 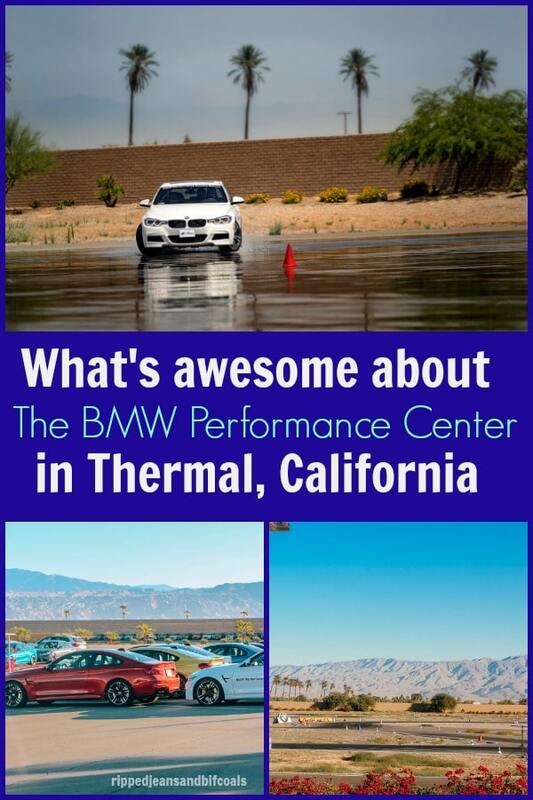 This post is sponsored by A Girls Guide to Cars and the BMW Performance Center in Thermal California. All opinions are mine. Also, all images in this post are mine unless otherwise credited. Please ask before you re-share photos. I spend a lot of time in my car. I'm a mom to two eight-year-old boys. Between sports and school and the grocery store and wherever else my tribe needs to be, I spend a lot of time in my car…and by car, I mean my minivan. I work in my car. I eat in my car. I eat in my car enough to know that you can stick waffle fries from Chick fil A in the vents of your A/C to cool them down…a friend told me that little secret. Ahem. A beautiful day, gorgeous scenery, fast cars, not a minivan in sight. I have important conversations with my family members in my car. Life happens in my car. Life and waffle fries, man. But…I drive a five-year-old minivan and, well…driving isn't super fun. But guess what? Driving is can be fun and more than just getting you from point A to point B, which I just sort of clued in on. 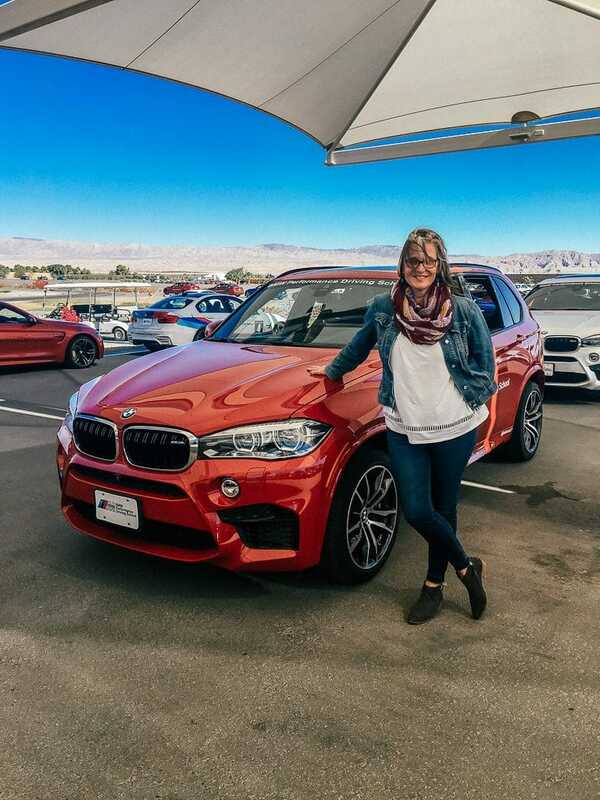 If you're a mom who drives a minivan and you need to put some fun intro your drive time, then you need to check out the BMW Performance Center in Thermal California (Palm Springs area.) It's seriously life changing. 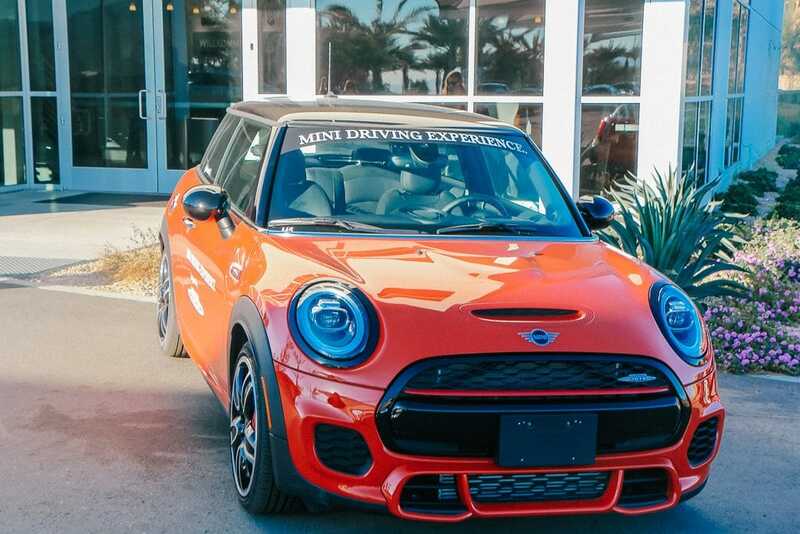 And no, you don't have to buy a BMW to go to the BMW performance center. You'll probably end up wanting one but that's a whole different story. What is the BMW Performance Center? 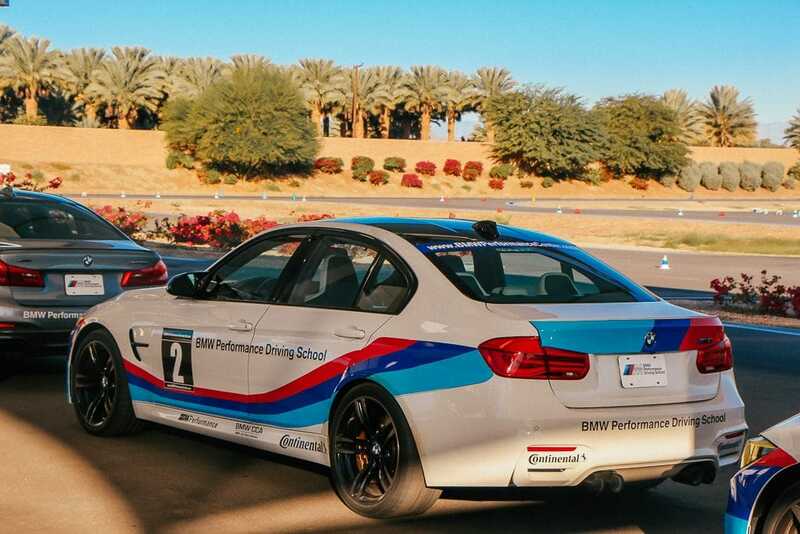 The BMW Performance Center is a driving school designed to teach you some rad driving skills. For sure, you get your adrenaline rush on, but the instruction is more than that. You'll learn practical driving skills that you can use in your every day life. The BMW Performance Center is all about driving…you'll learn basics and how to apply them and have some fun along the way. There are two locations, one in Thermal, California, near Palm Springs and one in South Carolina. What kind of classes are offered at the BMW Performance Center? You can take one or two-day classes that teach skills like lane changing, wet-skid braking, panic braking, double lane changing, off-roading* and more. I've been driving a long time…and while it was really thrilling to drive these performance cars at speeds you would never drive in your own neighborhood (unless you really like speeding tickets and parting with your money) I was surprised at some of the driver basics I learned that have stayed with me since my class at the BMW Performance Center. I've learned how to position my hands on the steering wheel, how to properly sit and adjust my seating and also WHY those things are important. I learned a ton about alertness, safety, and how to take a corner when you're going really fast. Yes, all basic but a good (and seriously fun) refresher. The BMW Performance Center will let you push your own limits and the limits of the BMW cars you're privileged to drive as part of this experience. As our instructor, Adam, said, “You don't come here to drive 70 miles per hour. You can do that on any interstate.” And, that's true. 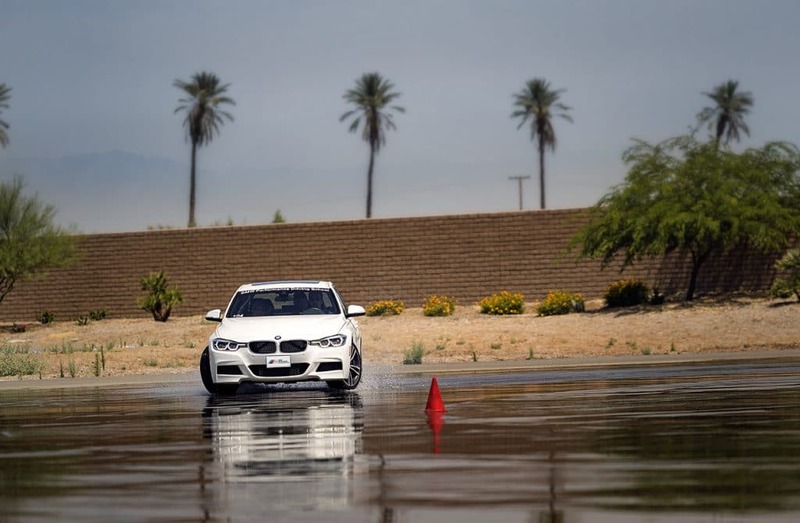 A class at the BMW Performance Center will definitely push you outside your comfort zone. Want even more of a challenge? 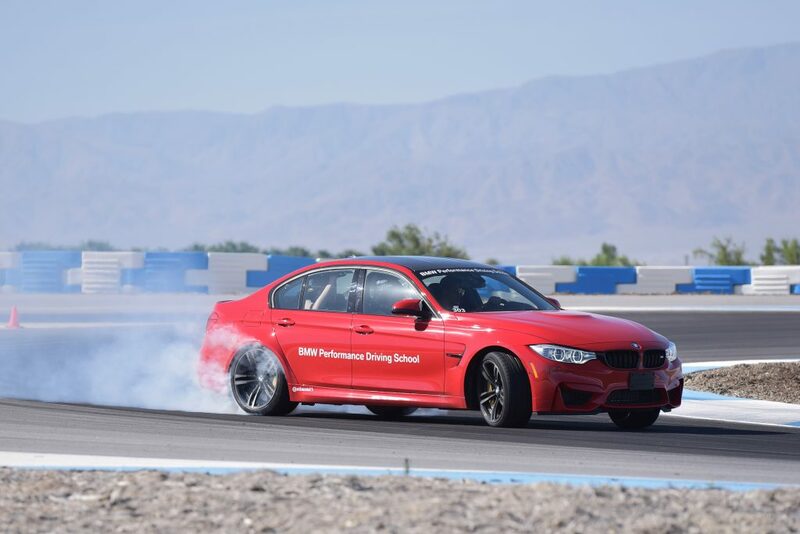 Check out the BMW Performance Center's M School. It's probably not for everyone but might it be for you? And, even if it isn't for you, might it be for someone you know? Experiential gifts are awesome…they reduce clutter and they give someone what they want, what they really, really want. If you have a guy or gal that's hard to buy for, the question is, would they love this? The BMW Performance Center also offers a teen school. Young drivers learn the basics of car control, panic braking, lane changes, and how not to be a distracted driver, which is probably the numero uno concern parents of teen drivers have. Instead of telling your teen driver “don't do this or that” why not put them in the hands of professionals who can teach them how to be safe, aware, and still have fun behind the wheel? So…how much does all this cost? It's not super cheap but I think this is worth the spend…and it's definitely worth more in the long run than those Pokemon Cards or that brand-new, gotta have it video game you've got in your Amazon cart. Give the people you love something they can really remember. That cologne is going to run out and that sweater that he or she probably didn't like anyway is going to be forgotten. This is your chance to make memories, yo. A one-day driving school starts at $849 and the two-day driving school comes in at $1699. 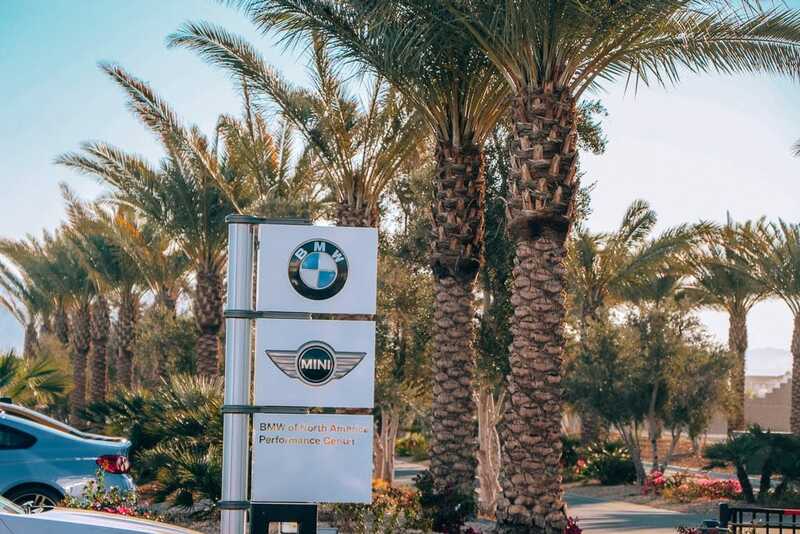 If you're interested in a shorter, corporate experience, you can contact the BMW Center directly and they can design a group or team building event to your liking…expect to pay around $300 per person for a couple of hours of instruction. 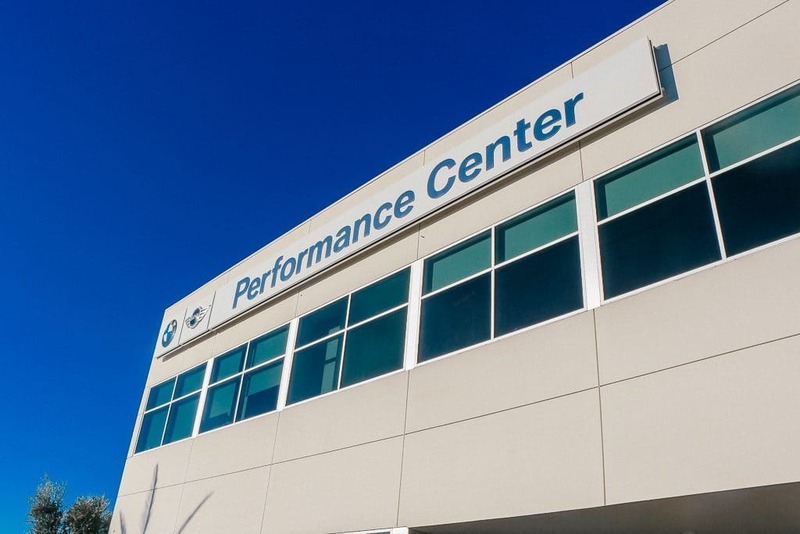 The BMW Performance Center has all kinds of information…and if you don't see what you're looking for or don't really know what you want, contact them and ask. 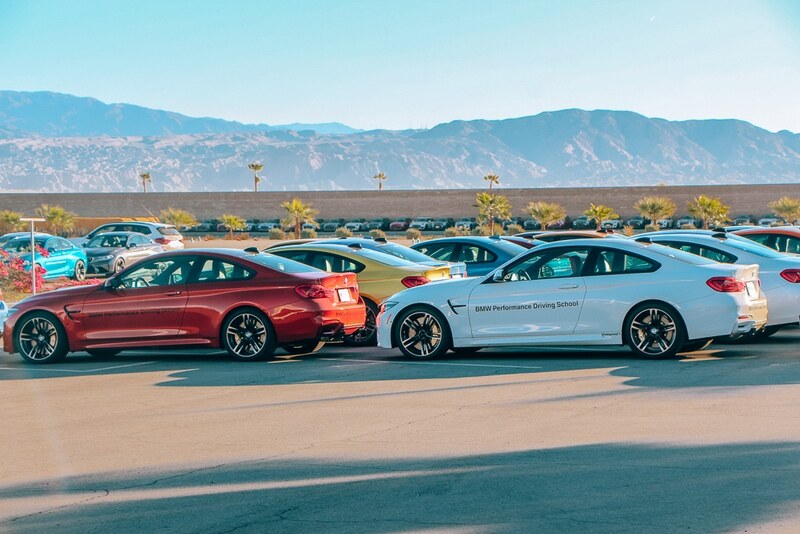 I haven't been to the BMW Performance Center in South Carolina but the school in Thermal California is in the most beautiful setting with glorious year-round weather that's perfect for an adventure. If you're looking for something outside the box to do on your next visit to SoCal, this just might be the thing. And if the BMW Performance Driving School is your reason for visiting the area, you'll find plenty of other things to do and you can easily build a great trip around this one event. 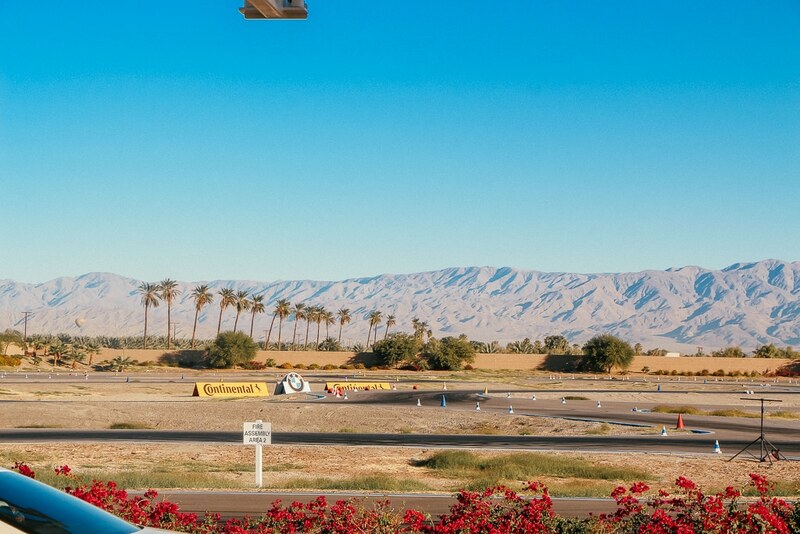 I personally think Palm Springs and the surrounding area has kind of a romantic vibe…and I know my husband would be thrilled with a driving class as a “date day” activity. I don't have aspirations of becoming a race car driver…and as much as my minivan is making me sad right now, it does serve its purpose. While I am definitely day dreaming about something zippier and sportier and more…well, fun, I am back in minivanland suburbia with a little more knowledge about how to handle any vehicle. And just maybe, “fun” is on the list of attributes I want to see in my next car. Contact the BMW Performance Center for more info or to book your own class or experience. They also offer Mini experience and motorcycle experiences, so spend some time on their site and find what suits you best. And, for auto content written for women by women who understand women, check out A Girl's Guide to Cars. It's real, useful auto content written with your lifestyle and needs in mind without a lot of jargon you're not looking for. Does this sound great to you? You can do it, too! I love this post and boy do I hear you on it being difficult to go back to other cars after those few hours on the track. It was SO fun it feels weird to drive normally again now!! I drove the Tiguan on the way back to Miramonte from the BMW Center. One of my backseat passengers had to remind me that I was no longer on the track. Tee hee. Once you go BMW you will never go back unless for affordability reasons of course. But they are so classy and have the best features ever!